The parameter plotted on the vertical axis is the dark energy equation of state parameter, w, and w=-1 corresponds to a cosmological constant. There’s been quite a lot of reaction on the interwebs over the last few days much of it very misleading; here’s a sensible account) to a paper by Nielsen, Guffanti and Sarkar which has just been published online in Scientific Reports, an offshoot of Nature. I think the above link should take you an “open access” version of the paper but if it doesn’t you can find the arXiv version here. I haven’t cross-checked the two versions so the arXiv one may differ slightly. The ‘standard’ model of cosmology is founded on the basis that the expansion rate of the universe is accelerating at present — as was inferred originally from the Hubble diagram of Type Ia supernovae. There exists now a much bigger database of supernovae so we can perform rigorous statistical tests to check whether these ‘standardisable candles’ indeed indicate cosmic acceleration. Taking account of the empirical procedure by which corrections are made to their absolute magnitudes to allow for the varying shape of the light curve and extinction by dust, we find, rather surprisingly, that the data are still quite consistent with a constant rate of expansion. 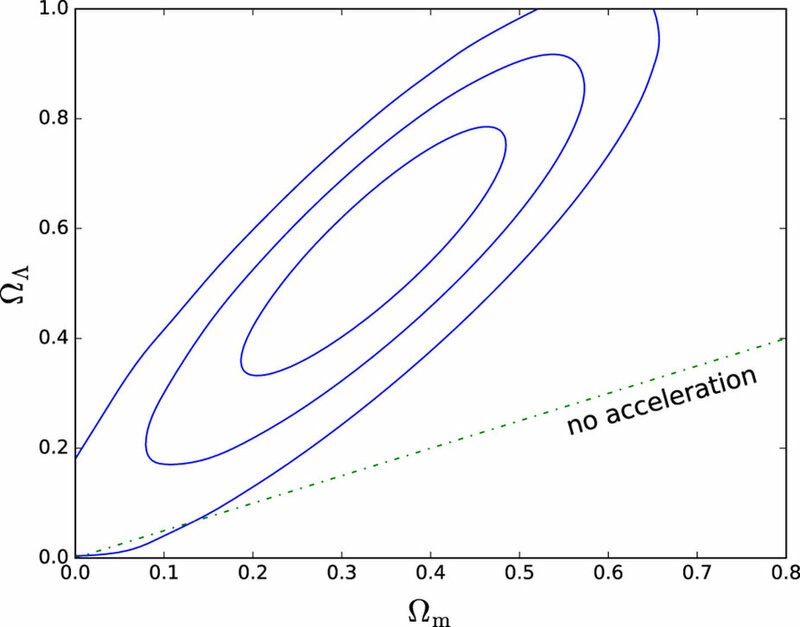 Models shown in this plane by a line have the correct balance between Ωm, and ΩΛ to cancel out the decelerating effect of the former against the accelerating effect of the latter (a special case is the origin on the plot, which is called the Milne model and represents an entirely empty universe). The contours show “1, 2 and 3σ” contours, regarding all other parameters as nuisance parameters. It is true that the line of no acceleration does go inside the 3σcontour so in that sense is not entirely inconsistent with the data. On the other hand, the “best fit” (which is at the point Ωm=0.341, ΩΛ=0.569) does represent an accelerating universe. I am not all that surprised by this result, actually. I’ve always felt that taken on its own the evidence for cosmic acceleration from supernovae alone was not compelling. 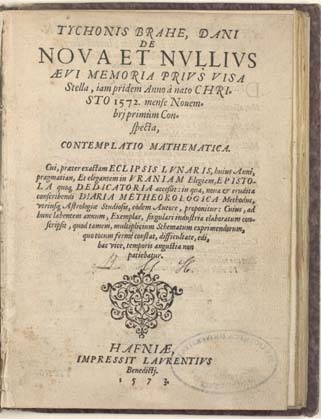 However, when it is combined with other measurements (particularly of the cosmic microwave background and large-scale structure) which are sensitive to other aspects of the cosmological space-time geometry, the agreement is extremely convincing and has established a standard “concordance” cosmology. The CMB, for example, is particularly sensitive to spatial curvature which, measurements tells us, must be close to zero. The Milne model, on the other hand, has a large (negative) spatial curvature entirely excluded by CMB observations. Curvature is regarded as a “nuisance parameter” in the above diagram. I think this paper is a worthwhile exercise. Subir Sarkar (one of the authors) in particular has devoted a lot of energy to questioning the standard ΛCDM model which far too many others accept unquestioningly. That’s a noble thing to do, and it is an essential part of the scientific method, but this paper only looks at one part of an interlocking picture. The strongest evidence comes from the cosmic microwave background and despite this reanalysis I feel the supernovae measurements still provide a powerful corroboration of the standard cosmology. Let me add, however, that the supernovae measurements do not directly measure cosmic acceleration. If one tries to account for them with a model based on Einstein’s general relativity and the assumption that the Universe is on large-scales is homogeneous and isotropic and with certain kinds of matter and energy then the observations do imply a universe that accelerates. Any or all of those assumptions may be violated (though some possibilities are quite heavily constrained). In short we could, at least in principle, simply be interpreting these measurements within the wrong framework, and statistics can’t help us with that! Many fascinating questions remain unanswered by last week’s detection of gravitational waves produced by a coalescing binary black hole system (GW150914) by LIGO. One of these is whether the fact that the similarity of the component masses (29 and 36 times the mass of the Sun respectively) is significant. Although there is some technical jargon, the point is relatively clear. It appears that very masssive, very low metallicity binary stars can evolve into black hole binary systems via supernova explosions without disrupting their orbit. 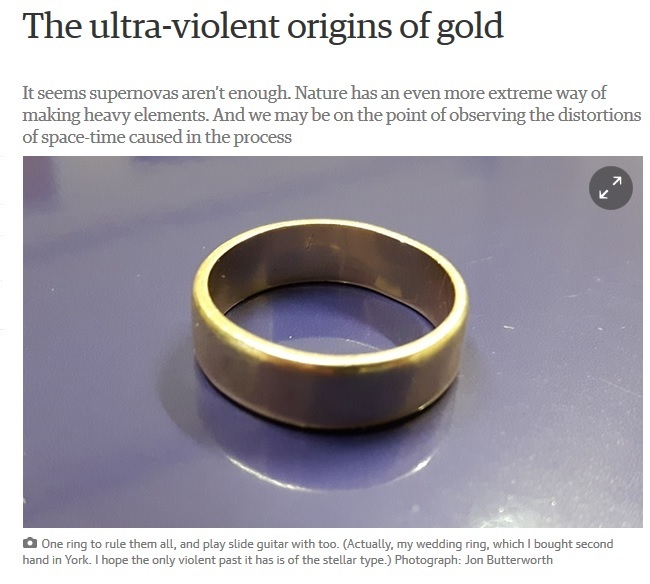 The term ‘low metallicity’ characteristises stars that form from primordial material (i.e. basically hydrogen and helium) early in the cycle of stellar evolution. Such material has very different opacity properties from material with significant quantities of heavier elements in it, which alters the dynamical evolution considerably. I appear to be in recycling mode this week, so I thought I’d carry on with a rehash of an old post about skepticism. The excuse for this was an item in one of the Guardian science blogs about the distinction between Skeptic and sceptic. I must say I always thought they were simply alternative spellings, the “k” being closer to the original Greek and “c” being Latinised (via French). The Oxford English dictionary merely states that “sceptic” is more widespread in the UK and Commonwealth whereas “skeptic” prevails in North America. Somehow, however, this distinction has morphed into one variant meaning a person who has a questioning attitude to or is simply unconvinced by what claims to be knowledge in a particular area, and another meaning a “denier”, the latter being an “anti-sceptic” who believes wholeheartedly and often without evidence in whatever is contrary to received wisdom. A scientists should, I think, be the former, but the latter represents a distinctly unscientific attitude. Anyway, yesterday I blogged a little bit about dark energy as, according to the standard model, this accounts for about 75% of the energy budget of the Universe. It’s also something we don’t understand very well at all. To make a point, take a look at the following picture (credit to the High-z supernova search team). What is plotted is the redshift of each supernova (along the x-axis), which relates to the factor by which the universe has expanded since light set out from it. A redshift of 0.5 means the universe was compressed by a factor 1.5 in all dimensions at the time when that particular supernova went bang. The y-axis shows the really hard bit to get right. It’s the estimated distance (in terms of distance modulus) of the supernovae. In effect, this is a measure of how faint the sources are. The theoretical curves show the faintness expected of a standard source observed at a given redshift in various cosmological models. The bottom panel shows these plotted with a reference curve taken out so the trend is easier to see. Actually, this is quite an old plot and there are many more points now but this is the version that convinced most cosmologists when it came out about a decade ago, which is why I show it here. This plot contains the principal evidence that has led to most cosmologists accepting that the Universe is accelerating. However, when I show it to first-year undergraduates (or even to members of the public at popular talks), they tend to stare in disbelief. The errors are huge, they say, and there are so few data points. It just doesn’t look all that convincing. Moreover, there are other possible explanations. Maybe supernovae were different beasties back when the universe was young. Maybe something has absorbed their light making them look fainter rather than being further away. Maybe we’ve got the cosmological models wrong. The reason I have shown this diagram is precisely because it isn’t superficially convincing. When they see it, students probably form the opinion that all cosmologists are gullible idiots. I’m actually pleased by that. In fact, it’s the responsibility of scientists to be skeptical about new discoveries. However, it’s not good enough just to say “it’s not convincing so I think it’s rubbish”. What you have to do is test it, combine it with other evidence, seek alternative explanations and test those. In short you subject it to rigorous scrutiny and debate. It’s called the scientific method. Some of my colleagues express doubts about me talking as I do about dark energy in first-year lectures when the students haven’t learned general relativity. But I stick to my guns. Too many people think science has to be taught as great stacks of received wisdom, of theories that are unquestionably “right”. Frontier sciences such as cosmology give us the chance to demonstrate the process by which we find out about the answers to big questions, not by believing everything we’re told but by questioning it. My attitude to dark energy is that, given our limited understanding of the constituents of the universe and the laws of matter, it’s the best explanation we have of what’s going on. There is corroborating evidence of missing energy, from the cosmic microwave background and measurements of galaxy clustering, so it does have explanatory power. I’d say it was quite reasonable to believe in dark energy on the basis of what we know (or think we know) about the Universe. In other words, as a good Bayesian, I’d say it was the most probable explanation. However, just because it’s the best explanation we have now doesn’t mean it’s a fact. It’s a credible hypothesis that deserves further work, but I wouldn’t bet much against it turning out to be wrong when we learn more. I have to say that too many cosmologists seem to accept the reality of dark energy with the unquestioning fervour of a religious zealot. Influential gurus have turned the dark energy business into an industrial-sized bandwagon that sometimes makes it difficult, especially for younger scientists, to develop independent theories. On the other hand, it is clearly a question of fundamental importance to physics, so I’m not arguing that such projects should be axed. I just wish the culture of skepticism ran a little deeper. Another context in which the word “skeptic” crops up frequently nowadays is in connection with climate change although it has come to mean “denier” rather than “doubter”. I’m not an expert on climate change, so I’m not going to pretend that I understand all the details. However, there is an interesting point to be made in comparing climate change with cosmology. To make the point, here’s another figure. There’s obviously a lot of noise and it’s only the relatively few points at the far right that show a clear increase (just as in the first Figure, in fact). However, looking at the graph I’d say that, assuming the historical data points are accurate, it looks very convincing that the global mean temperature is rising with alarming rapidity. Modelling the Earth’s climate is very difficult and we have to leave it to the experts to assess the effects of human activity on this curve. There is a strong consensus from scientific experts, as monitored by the Intergovernmental Panel on Climate Change, that it is “very likely” that the increasing temperatures are due to increased atmospheric concentrations of greenhouse gas emissions. There is, of course, a bandwagon effect going on in the field of climatology, just as there is in cosmology. This tends to stifle debate, make things difficult for dissenting views to be heard and evaluated rationally, and generally hinders the proper progress of science. It also leads to accusations of – and no doubt temptations leading to – fiddling of the data to fit the prevailing paradigm. In both fields, though, the general consensus has been established by an honest and rational evaluation of data and theory. I would say that any scientist worthy of the name should be skeptical about the human-based interpretation of these data and that, as in cosmology (or any scientific discipline), alternative theories should be developed and additional measurements made. However, this situation in climatology is very different to cosmology in one important respect. The Universe will still be here in 100 years time. We might not. The big issue relating to climate change is not just whether we understand what’s going on in the Earth’s atmosphere, it’s the risk to our civilisation of not doing anything about it. This is a great example where the probability of being right isn’t the sole factor in making a decision. Sure, there’s a chance that humans aren’t responsible for global warming. But if we carry on as we are for decades until we prove conclusively that we are, then it will be too late. The penalty for being wrong will be unbearable. On the other hand, if we tackle climate change by adopting greener technologies, burning less fossil fuels, wasting less energy and so on, these changes may cost us a bit of money in the short term but frankly we’ll be better off anyway whether we did it for the right reasons or not. Of course those whose personal livelihoods depend on the status quo are the ones who challenge the scientific consensus most vociferously. They would, wouldn’t they? This is a good example of a decision that can be made on the basis of a judgement of the probability of being right. In that respect , the issue of how likely it is that the scientists are correct on this one is almost irrelevant. Even if you’re a complete disbeliever in science you should know how to respond to this issue, following the logic of Blaise Pascal. He argued that there’s no rational argument for the existence or non-existence of God but that the consequences of not believing if God does exist (eternal damnation) were much worse than those of behaving as if you believe in God when he doesn’t. For “God” read “climate change” and let Pascal’s wager be your guide…. Another Nobel Prize for Cosmology! 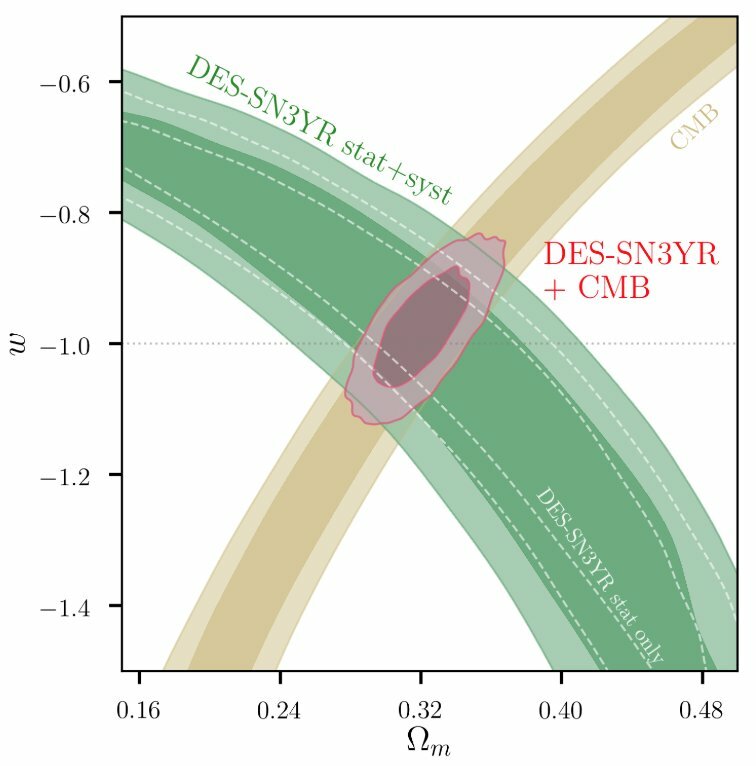 I’m definitely among the skeptics when it comes to the standard interpretation of the supernova measurements, and more recent complementary data, in terms of dark energy. However this doesn’t diminish in any way my delight that these three scientists have been rewarded for their sterling observational efforts. The two groups involved in the Supernova Cosmology Project on the one hand, and the High Z Supernova Search, on the other, are both supreme examples of excellence in observational astronomy, taking on and overcoming what were previously thought to be insurmountable observational challenges. This award has been in the air for a few years now, and I’m delighted for all three scientists that their time has come at last. To my mind their discovery is all the more exciting because nobody really knows precisely what it is that they have discovered! I know that Brian Schmidt is an occasional reader and commenter on this blog. I suspect he might be a little busy right now with the rest of the world’s media right to read this, let alone comment on here, but that won’t stop me congratulating him and the other winners on their achievement. I’m sure they’ll enjoy their visit to Stockholm! Meanwhile the rest of us can bask in their reflected glory. There’s also been a huge amount of press interest in this announcement which has kept my phone ringing this morning. It’s only been five years since a Nobel Prize in physics went to cosmology, which says something for how exciting a field this is to work in! UPDATE: There’s an interesting collection of quotes and reactions on the Guardian website, updated live. UPDATE on the UPDATE: Yours truly gets a quote on the Nature News article about this!